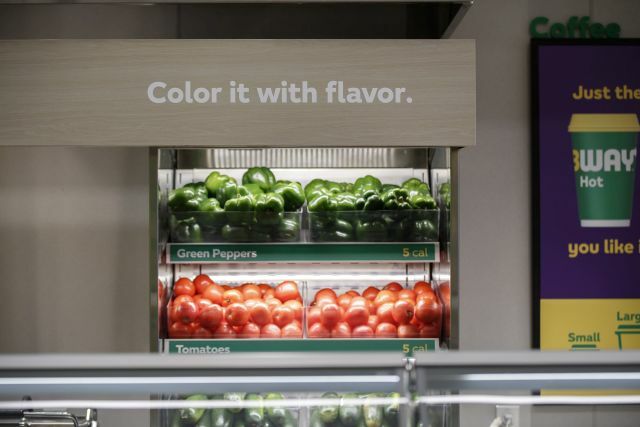 Calling it their new "Fresh Forward" design, Subway reveals a new look for their stores that, among other things, highlights their use of fresh vegetables. In a change from the current layout, the new restaurant design features a fresh veggie display (similar to Del Taco and Panda Express) that holds whole tomatoes, green peppers, onions, and cucumbers that sliced daily in store. "Fresh Forward" locations will also serve new menu items such as pico de gallo, new sauces, house-made pickles and "made without gluten" bread (which is basically gluten-free bread made in an area where gluten may be present). Select locations will offer self-order kiosks as well as digital menu boards. The new design also features USB charging ports and free Wi-Fi. There are currently 12 pilot "Fresh Forward" design locations open the US, UK, and Canada. They're located in: Tamarac, FL; Orlando, FL (2); Winter Park, FL; Chula Vista, CA; Knoxville, TN; Palmview, TX; Hillsboro, OR; Vancouver, WA; Beauport, QC; Granby, QC; and Manchester, UK. 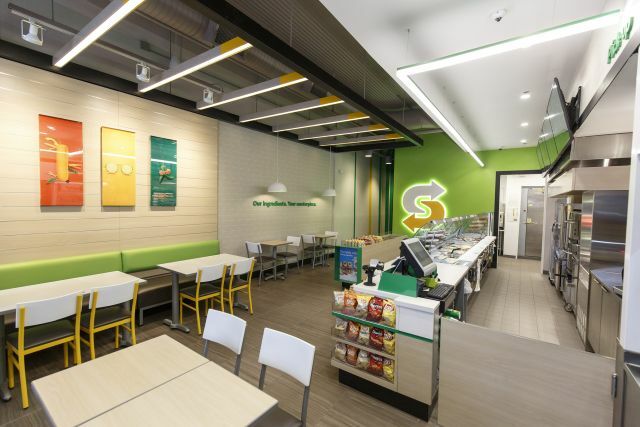 The new design is part of a new brand identity for Subway that began rolling out earlier this year and includes a redesigned logo, a new symbol called the "Choice Mark," an updated color scheme, new packaging, uniforms, and signage.